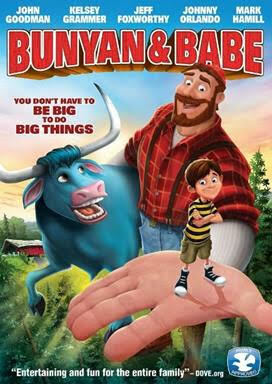 Bunyan and Babe is a modern take on the American folk story of the legendary lumberjack and his pet blue ox, starring the voice talents of John Goodman, Kelsey Grammer, Jeff Foxworthy, Mark Hamill and YouTube star Johnny Orlando. Your kids are going to love this movie! This animated film will be available exclusively for FREE on Google Play from January 12 to February 16, 2017 from Cinedigm (US/CA only). Bunyan and Babe will also make its debut in theaters in twelve markets including New York and Los Angeles on February 3. In Bunyan and Babe, Travis (Johnny Orlando) and his sister Whitney visit their grandparents for the summer and stumble upon the evil plan of a greedy real estate developer (Kelsey Grammer, “Cheers,” “Frasier”) to steal the land of the town's longtime residents. While running from one of the developer's goons, Travis falls through a magical portal which transports him to the world of American hero, Paul Bunyan (John Goodman, The Big Lebowski, “Roseanne”) and his pet ox, Babe (Jeff Foxworthy, “The Jeff Foxworthy Show”). Bunyan and Babe get wrapped up in a brand new adventure, and with the help of their new friends Travis and Whitney, they save the town. Together they learn firsthand that you don't have to be big to do big things. Watch the trailer below! The Dove Foundation called Bunyan and Babe “entertaining and fun for the entire family.” The film is Dove “Family-Approved” for all ages. Rated PG. 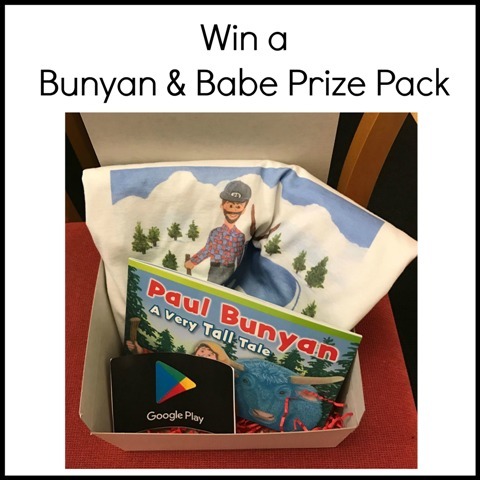 One lucky winner will win a Bunyan and Babe Prize Pack, including: $10 Google Gift Card, Paul Bunyan T-Shirt, Plant a tree package, and Paul Bunyan Book / Coloring Book. To enter, just fill in the giveaway form below. Giveaway is open to US readers, ages 18 and up. Giveaway ends on 2/8/2017. Good luck! I enter your giveaway hope I win. Thanks for sharing this. My grandson and I enjoyed watching this! You are the best!